Did you know you can recycle things like pens, toothbrushes, wine corks, cosmetics packaging, CDs and USB drives? Read on as we show you how! While you can’t place these items in your kerbside recycling bin, to save you the worry of figuring out what to do with them, Biome can look after them for you. At Biome we are committed to operating as zero waste as possible, and helping you to reduce the amount of plastic waste that ends up in our environment. Our in-store program is for individuals and householders only, not for businesses (please see business solution below). Bring pens, pencils, markers, highlighters, toothbrushes, empty cosmetics and skin care packaging, wine corks, CDs, cassettes, memory sticks, as well as the packaging from products purchased in-store, to one of our four Brisbane stores and we will recycle them for you via TerraCycle. We have stores in Brisbane City, Paddington, Balmoral and Indooroopilly Shopping Centre. We accept all completely empty personal care and cosmetics packaging, toothbrushes and empty toothpaste tubes, wine corks, pens and markers, and CDs and media storage. To empty the containers, you must cut in half where ever possible and wipe out all the contents. Please note: Biome cannot accept personal care and cosmetics packaging that haven’t been completely emptied, cut in half where possible, and cleaned out, and we do not have the resources to do this for you. Before bringing in any personal care items to our stores to recycled via TerraCycle, we kindly ask that you please ensure they are empty of product and clean. If you don’t live in Brisbane, you can post the items to us: Biome Eco Stores, 51 Douglas Street, Milton QLD 4064. 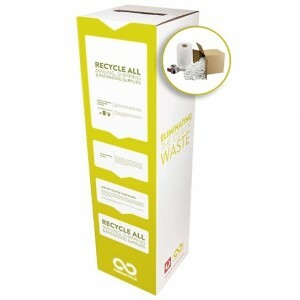 Biome sells a range of TerraCycle zero waste bins to suit your needs. 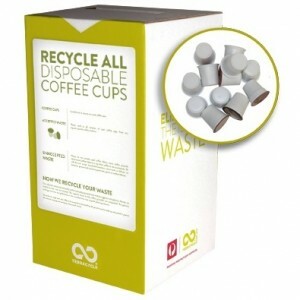 Choose bins for recycling coffee capsules, office supplies, pens, snack wrappers, mailing labels, tape, CDs and more. We have more information about these below. What are Zero Waste Bins? These Zero Waste Bins are collection points for designated waste items that are not usually recycled by council services. This diverts the items from landfill, giving them a second life through TerraCycle’s specialist services in recycling and repurposing materials. The bins are for home, offices, tuck shops, schools, small businesses, community groups, anywhere really that defunct items gather. 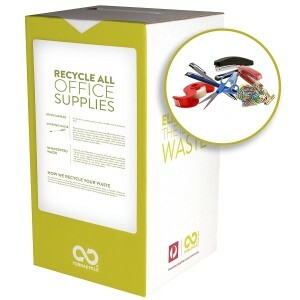 Choose bins for recycling coffee capsules, office supplies, pens, snack wrappers, mailing labels and tape, CDs and more. Firstly, go onto Biome’s online store, and purchase the Zero Waste Bin designed for the particular items you’d like to recycle. For example, if you go through a lot of plastic pens, markers and pencils, you can get a bin specifically for them; or your workplace may go through lots of miscellaneous stationery; or a school may throw away a lot of snack wrappers. Place the bin in an easily accessible spot and fill! 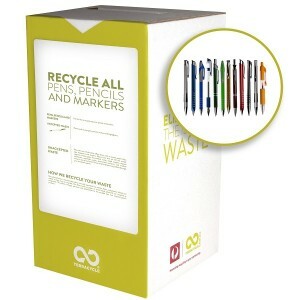 Make sure that the items are as empty as possible, for instance, that all the ink has been used in the pen. Once the bin is full, simply seal it up and send it off to TerraCycle. Delivery back to TerraCycle is included in the price, so you don’t have to pay extra at the post office. What can the Bins Recycle? You must only fill the bin up with the designated item, nothing else. Recycles pen and pen caps, mechanical pencils, markers and marker caps, permanent markers and caps. Recycles non-electronic office tools like desk organisers, card and document filers, binders, calendars, labels, staplers, hole punchers, dividers, paper cutters, correction items, paper clips, staples, binder clips, and discarded backing from sticker and label sheets. Recycles used tubing, poly bags, tie downs, bubble wrap, stretch wrap, packaging foam, shipping peanuts, air cushions and tape dispensers. 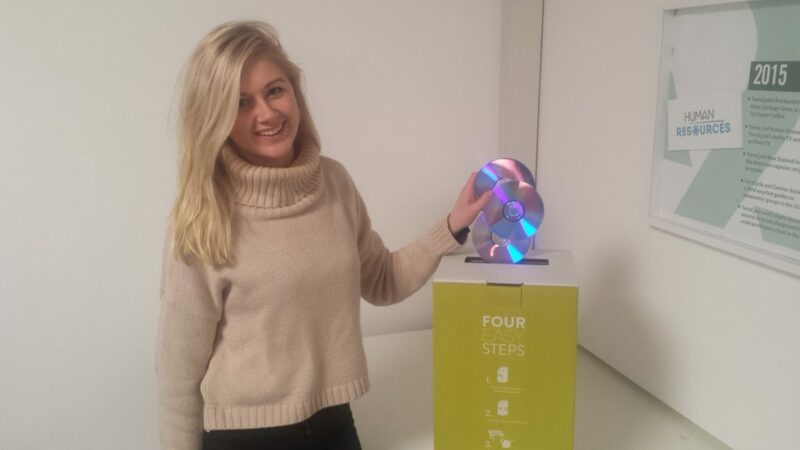 Recycles all varieties of pre-packaged beverage discs or capsules, such as used coffee or tea discs from any capsule-specific coffee or tea machine. Recycles non-electrical hair care and styling tools like brushes, combs, picks, clips, headbands, headwraps, bobby pins, hair ties, scrunchies, shampoo and conditioner bottles, gel packaging, non-pressurized hair spray bottles, wax jars, and so much more! 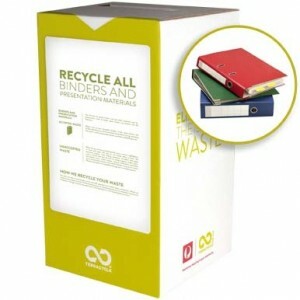 Recycles all makes and models of plastic and cardboard binders. Recycles coffee capsules, dining disposables, coffee and tea accessories, plastic packaging, paper packaging, and laminated paper packaging. 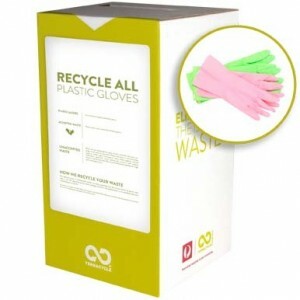 Recycles latex, nitrile vinyl and plastic gloves. 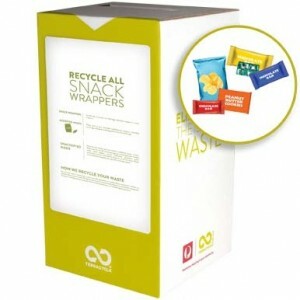 Recycles wrappers from chocolate, chips, muesli bars and other snacks, in individual and multi-pack snack bags and wrappers. 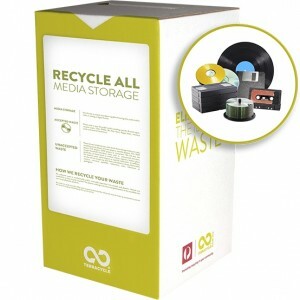 Recycles media storage including records, 8-track tapes, cassette tapes, CDs, DVDs, Blu Ray discs, floppy disks, memory sticks and external hard drives. Firstly, all the waste is mechanically and/or manually separated into metals, fibers and plastics. The metals are melted and recycled. The fibers (including paper or wood-based items) are recycled or composted. All the plastics undergo extrusion (a changing of their shape) and pelletization (compressed into pellets). From pellets, they can be molded into new recycled plastic items. Some other waste is reused. For instance, some textiles are washed and used in other countries, and electronics can be refurbished and redistributed. There is some creative upcycling between TerraCycle and other companies. For instance, one company helped sew juice pouches together to create a bag. A great point made by TerraCycle is that, in nature, there is no garbage. Everything is a natural system and waste always becomes something else. But with single-use, un-recyclable items that become landfill, we are breaking this natural cycle. This is only going to become worse as we over consume and as our population grows. We are literally filling the world with garbage, but as humans, we’re also clever. Diverting as much garbage from landfill and making it into useful items again is one way we can stop this. That said, Biome believes that the ultimate solution is not recycling, but is stopping the waste product or packaging from being made in the first place. We must reduce the amount of single-use throwaway packaging and items by rejecting them at the point of purchase. Founded in 2001 by Tom Szaky in the USA, TerraCycle has seen 3,783,212,164 pieces of waste recycled, and has made $15,623,511 for charity. In his tumultuous journey to turn TerraCycle into what it is today, Tom turned down $1 million in investment that compromised his goals, was named #1 CEO in America in the 30 under 30 awards, filled 100 collection points for used drink pouches in 24 hours, and made the world’s first reusable tote from used plastic bags. Now, TerraCycle aims to recycle the “non-recyclable”, and repurposes, reuses and composts many forms of waste it diverts from landfill. Their overall goal is to move items from a linear disposable system (where something created just ends up in landfill) to a circular one (where the item is recycled and reused again and again), and finally to a closed loop solution, where a product is used to make itself, like pens made from used pens. Can containers/packets be sent to your store to be recycled? Alternately is there a list of places nationwide that items can be taken to? Have big companies like Priceline/Chemist Warehouse come on board with cosmetic boxes? are u trying into get into Aust yet,please!? Biome is an Australian company, so we’re already here! are u coming to Aust?! Biome is an Australian company, located in Brisbane, Queensland. Oh drat! I’m not a business, nor do I have access to one . Does biome have collection points we , the average Joe,can use to drop off these items to be recycled? Do you have outlets in Perth WA. 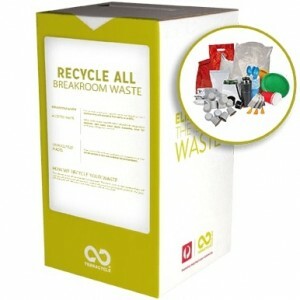 Would really like the opportunity to support you all and be able to recycle as much as possible. Maybe one day! No plans at the moment though. When will you have shops in NSW? 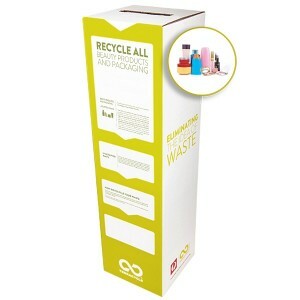 I have painstakingly put most of the empty products cases in my yellow recycle bin….recycle bin! so are you telling me I’ve been wasting my time and haven’t been helping the enviroment for years? Best to check with your council the items they accept in kerbside recycling. Every council is different. Great work! Congratulations. Don’t forget that you can recycle AAA AA C D batteries at Aldi stores – a collection box in each store. Yes, Biome is an Australian company. Great to see and would like more information.